Since the Poetry Foundation sent it on September 17th, I’ve kept this poem handy in my inbox. Even reading it today, it reminds me of Ayn Rand and her book Atlas Shrugged. The same is probably true for many who read the poem. In Atlas Shrugged Rand preached “extreme exertion,” but not with others in mind. To be complete citizens and human beings, people had to work fervently to fulfill their own personal life dream in order become the best possible versions of themselves. This in turn would help the world. Goodness borne of charity would lead to permanent hunger, according to Rand. After reading a bit about the Atlas myth, I was surprised to discover that the title of the book very likely results from a misreading of the myth. Atlas is the Greek Titan god who picked a wrong side and was condemned by Zeus to carry the weight of the heavens on his shoulders. Often, however, Atlas is erroneously depicted as carrying the Earth. In this latter version of the myth, if Atlas were to shrug, the world would drop. Dropping the world is precisely what the main characters in the novel do. Tired of “shouldering” the economy of the US, these top industrialists close up shop and disappear, leaving the less diligent to fend for themselves. 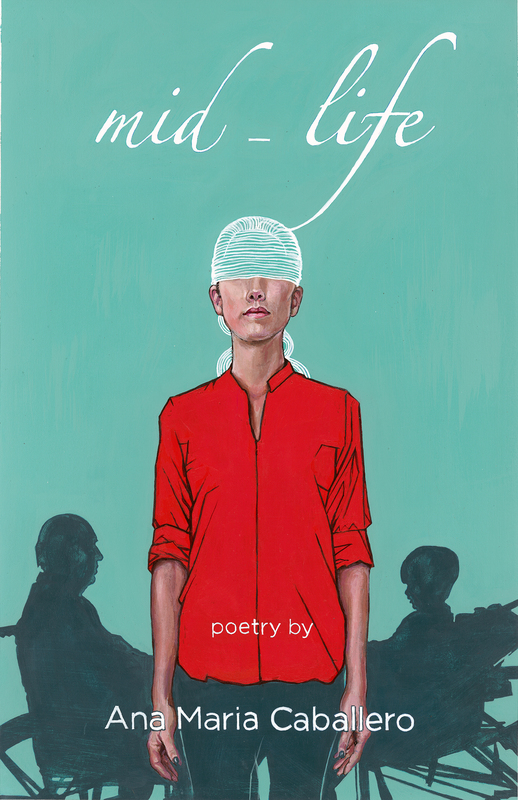 I thought about all this because I wasn’t sure how Rand’s application of the myth related to poet Kay Ryan’s, the writer of the work pictured above. And still, I am not sure. Is the poem a brief anthem in favor of teamwork? Is it a tepid poster for globalization? Or a straight-faced bluff at world unity? 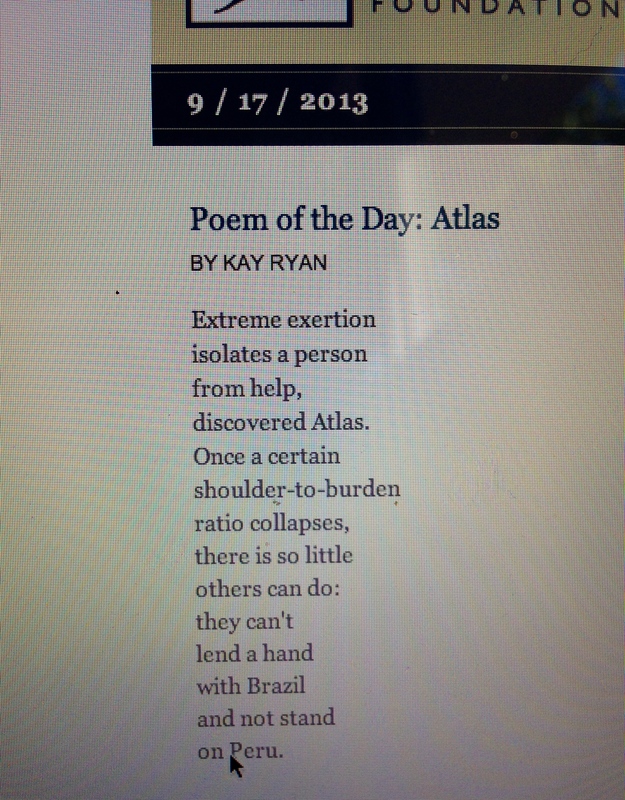 Does Kay Ryan’s Atlas even hold the correct burden on his shoulders? Probably not. I’ll have to go with another falling Earth, except in this case, Altas doesn’t toss the world to its doom. Here, he lies with it, come what may to Brazil, come what may to Peru. Great post, and thanks for the pingback.